Paranoia—in small doses—is an excellent preventive medicine. If you think your business is too small to be a target for hackers, identity thieves, and similarly unsavory characters, you’re dangerously underestimating the value of your business. The first step is to implement full-disk encryption on each one of your company’s PCs. This step is crucial because system passwords alone offer no defense against hackers’ accessing the hard drive from another computer, or against someone’s attempts to clone its entire contents for off-site examination. In addition, recovering previously deleted files from an unencrypted storage device or disk image is a relatively trivial matter for an attacker or snoop. Microsoft's BitLocker is an excellent disk-encryption tool that is included in Windows 7 Ultimate, Windows 7 Enterprise, Windows 8 Professional, and Windows 8 Ultimate. Selectively encrypting sensitive folders or files works, too, but full-disk encryption is the best means of ensuring that every file is protected. Microsoft’s BitLocker is the gold standard for this task, thanks to its ease of use and the fact that it comes standard with the Ultimate and Enterprise versions of Windows 7, and with the Ultimate and Professional versions of Windows 8. “One needs to consider every particular case,” says ReclaiMe spokesperson Elena Pakhomova, “since encryption is sometimes implemented incorrectly and you still have a chance to extract data.” ReclaiMe develops software for recovering data from hard drives and RAID configuration parameters, among other programs. For details on how to encrypt files the right way, read our hands-on guide. Better yet, develop the habit of using the Windows-L keyboard shortcut to lock your PC when you step away from it—even if you’ll be gone for just a few minutes. This step not only prevents data from being siphoned out during your absence but also serves as an effective way to prevent unscrupulous insiders with physical access to your computer from installing malware on it surreptitiously. 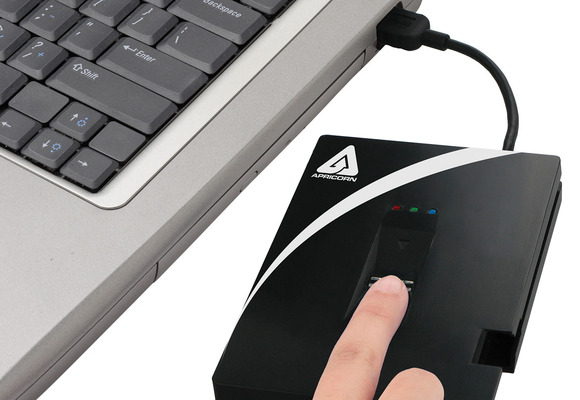 You can't access the contents of Apricorn's Aegis Bio 1TB hard drive without first verifying your identity via its fingerprint scanner. You should be aware, however, that computers running Windows XP or Windows Vista won’t recognize USB drives encrypted with BitLocker to Go unless you install the BitLocker to Go app. Mac OS X computers won’t recognize such drives, either. You can read more about using BitLocker to Go with Windows 8 in our complete guide. No one disputes the value of using a different password for each website, but surprisingly few people actually follow the practice. Most users opt for the convenience of using the same password across multiple Web services, even though it leaves them open to severe consequences—including identity theft and financial loss—should hackers snag their password. Using a password manager is much easier than trying to remember dozens of complex passwords. Finally, it is of paramount importance to ensure that your computer has the latest software updates and security patches. Confirm that Windows Update is correctly configured to download updates automatically, and then periodically check for errors or failed updates. The same advice goes for common attack vectors such as Oracle’s Java runtime environment (JRE) and popular software such as Adobe Reader and Apple QuickTime. A software tool that is of invaluable help here is Secunia Personal Software Inspector (PSI), a free patch-management program that tracks and installs updates to a large number of third-party applications.